Home » addy miller , amc , shorty awards , television , the walking dead , twitter » Addy Miller is nominated for a Shorty Award: Let's help her out!! 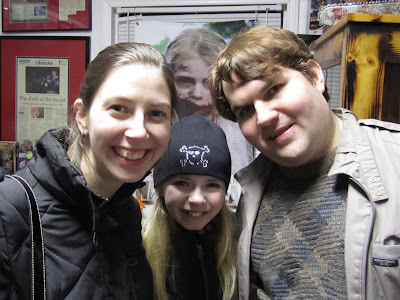 Addy Miller is nominated for a Shorty Award: Let's help her out!! Voting is underway until tomorrow night at midnight for The 4th Annual Shorty Awards, which is "a worldwide effort to engage hundreds of thousands of Twitter users to identify the best people and organizations on social media." So I'm gonna pitch the case to y'all that in my opinion, Addy Miller deserves to win a Shorty. Because she's an incredibly talented young actress who is also immensely sweet and nice in real life, and she always takes time to interact with her growing number of fans. 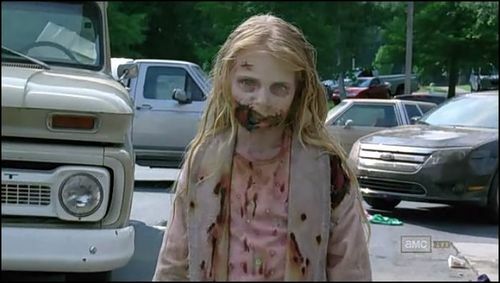 Yup, she's the "little girl zombie" that Rick Grimes shot down in the very first scene of the very first episode of AMC's megahit series The Walking Dead. And word is that she's gotten involved in a bunch more great projects since then! Anyhoo, if you've got a Twitter account (which all the cool kids have these days) here's the link to Addy Miller's nomination page at The Shorty Awards. I'm asking all my online peeps to click on over and give her some support! She's doing very well so far, but every little bit helps.